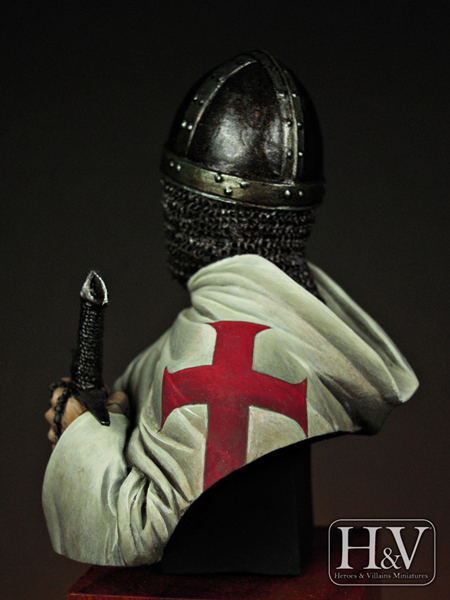 The study of the Crusades as a political, religious and social phenomenon still fascinates the modern point of view. 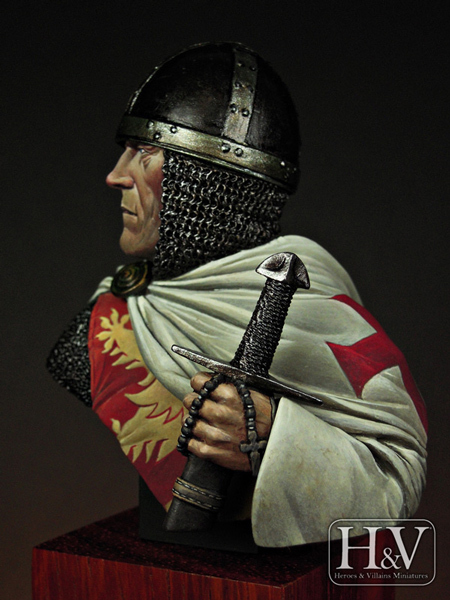 It was an answer to the reality that defined life in the Middle Ages; a feudal society, with highly hierarchic classes, where the church dictated the religious, cultural and social standards. 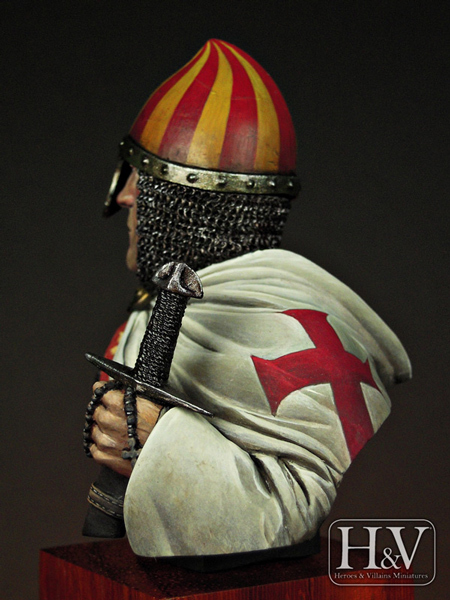 Only with these concepts in mind we can understand the motivations for an individual to think of departing for the East to join a crusade against the infidels. 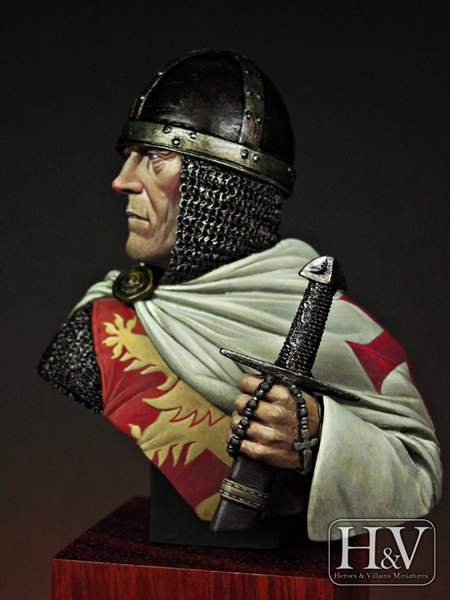 Maybe for spiritual reasons, for the chance to create a new destiny in a far away kingdom, sense of duty or obedience to their masters, thousands of Christian soldiers went to Holy Land between 1095 y 1291. 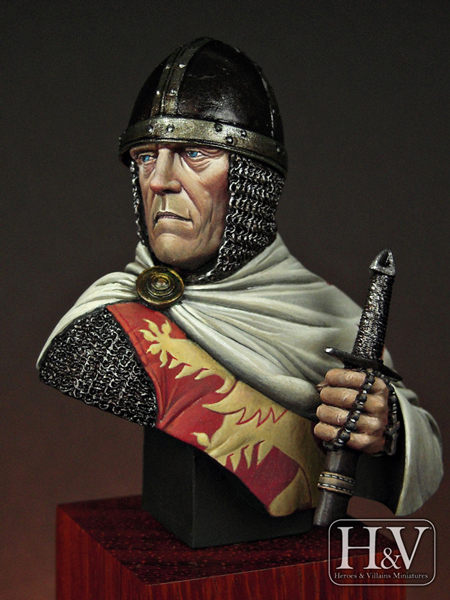 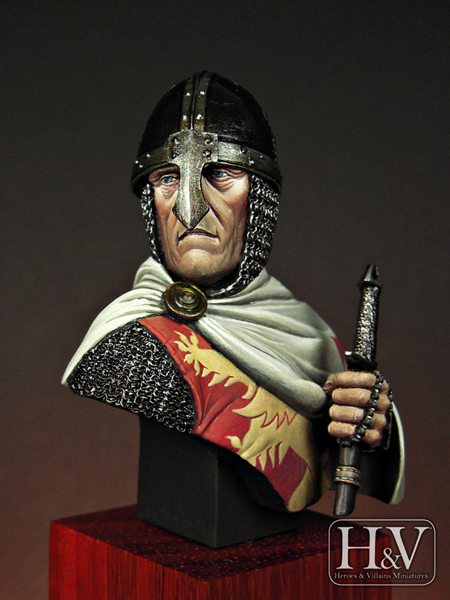 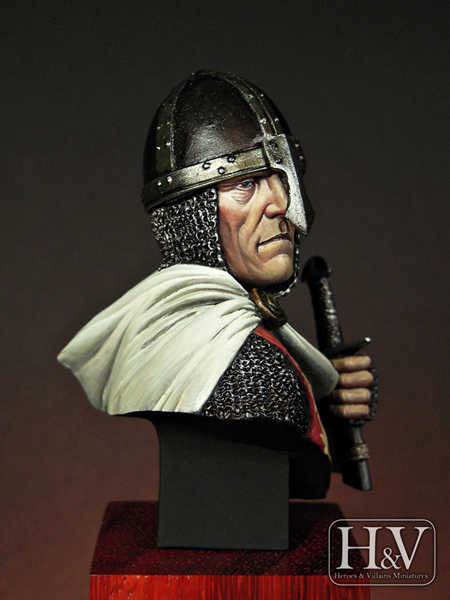 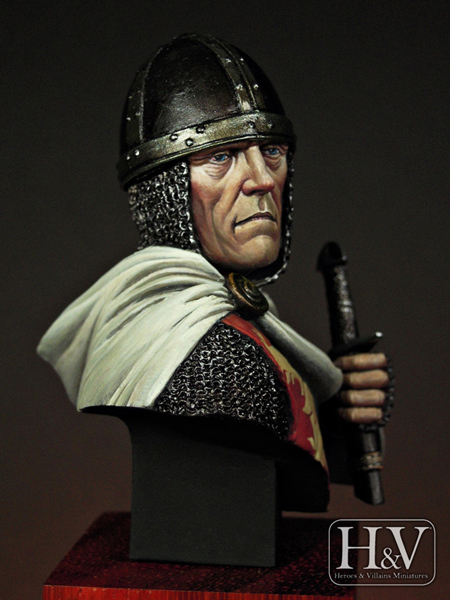 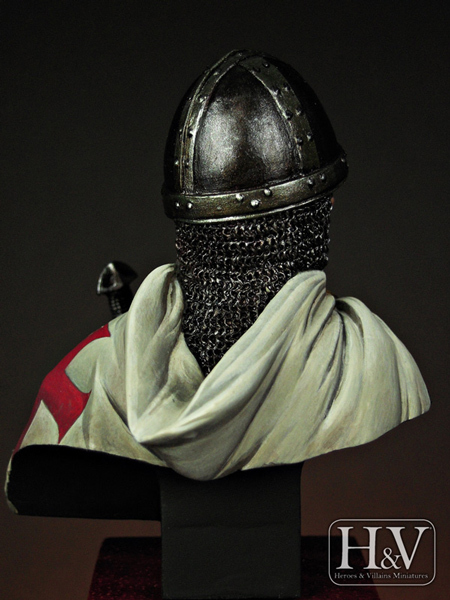 In this bust we went for a crusader from the peak moment of this phenomenon, the Third Crusade. 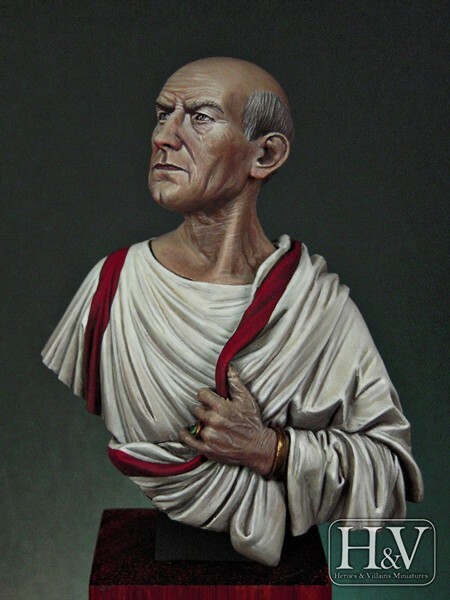 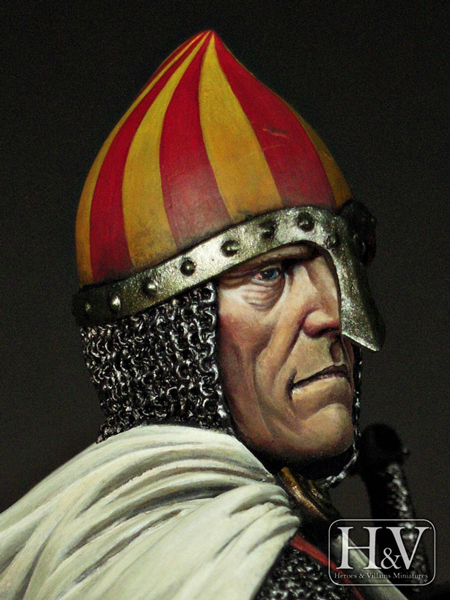 Our individual has a clear Norman look, a thriving people from that era of European history. 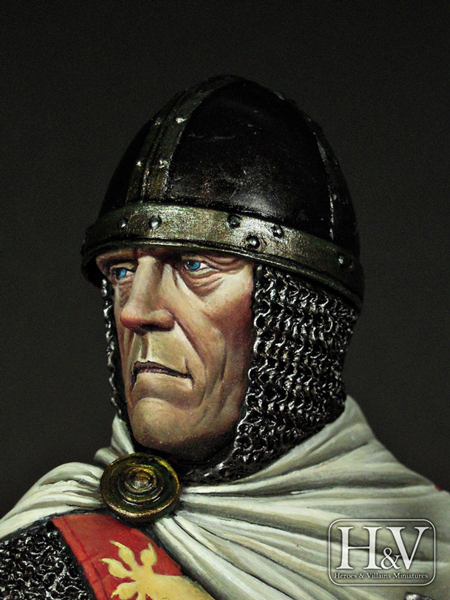 These descendants of Viking settlers who established in the Normandy territory, conquered England on 1066 and expanded in areas of France, Sicily and Southern Italy. 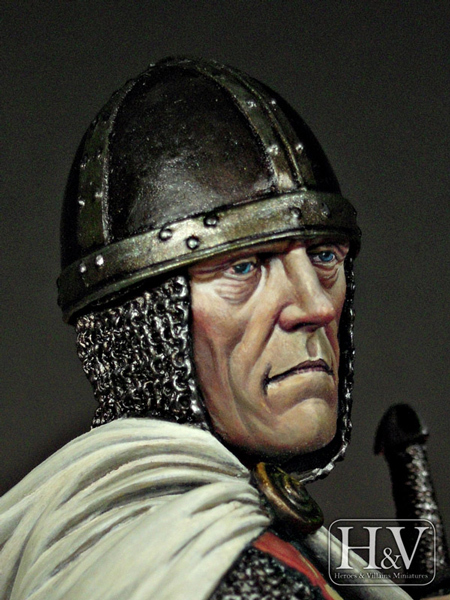 They had a huge impact both in culture and in the way of waging war. 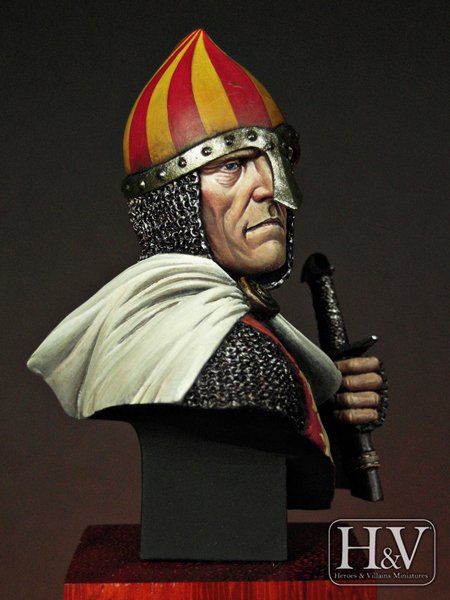 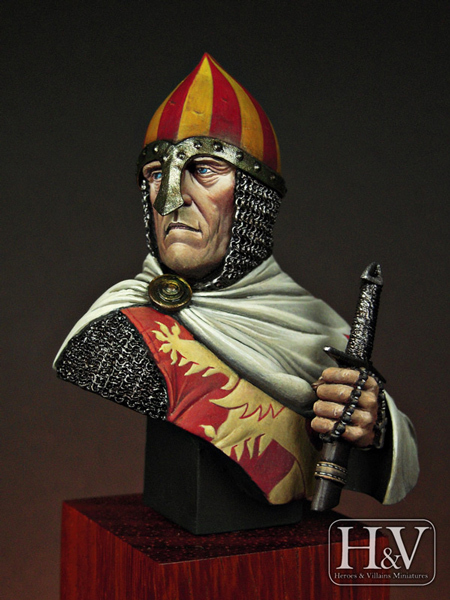 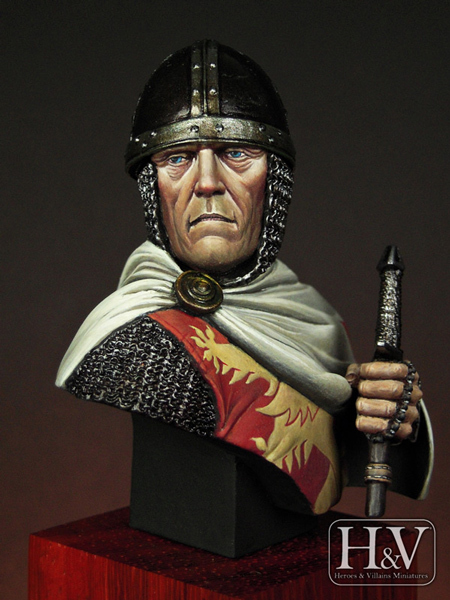 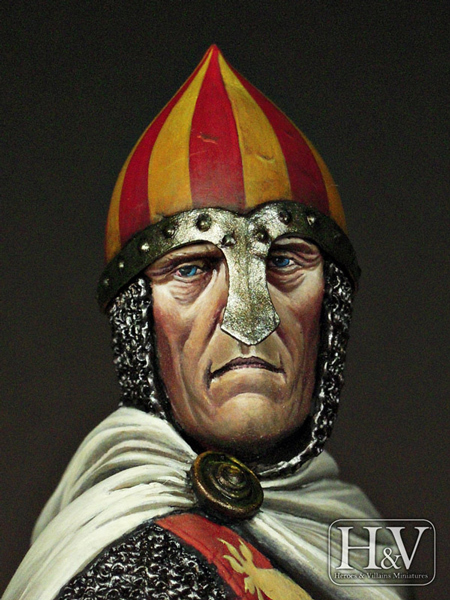 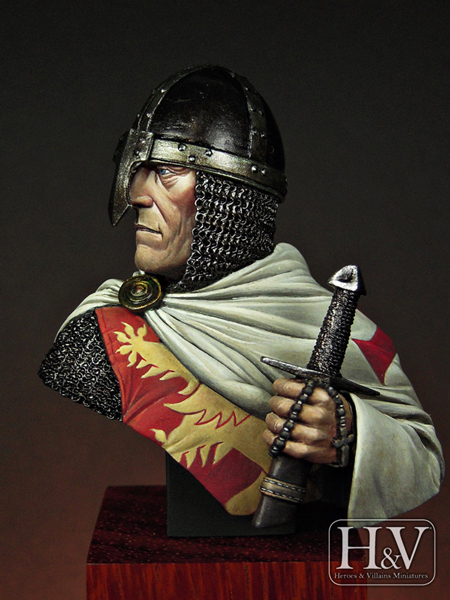 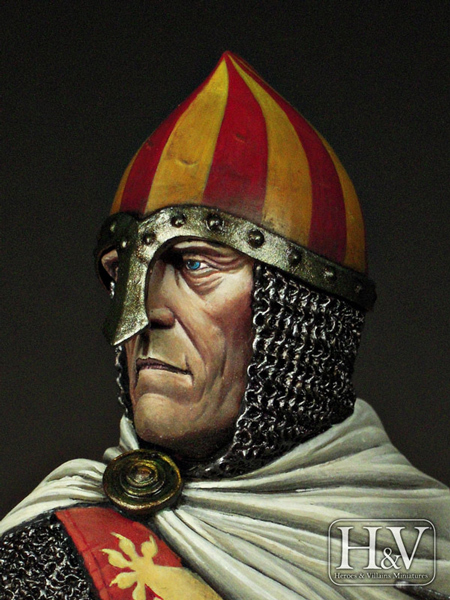 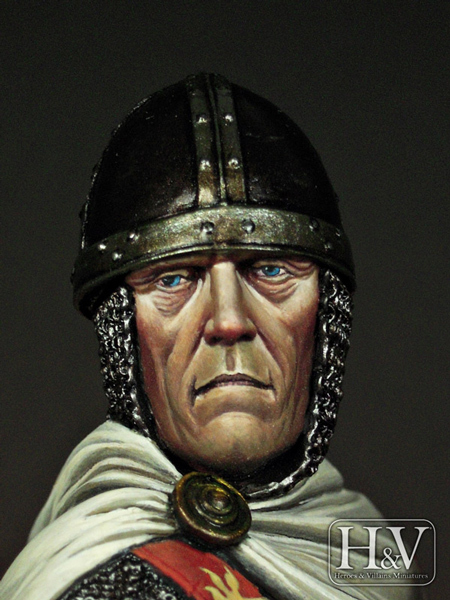 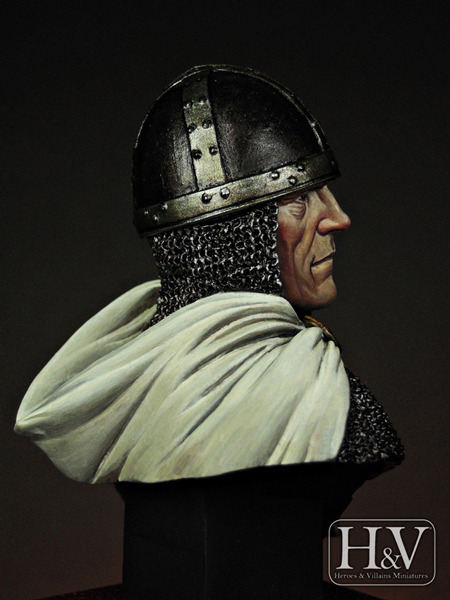 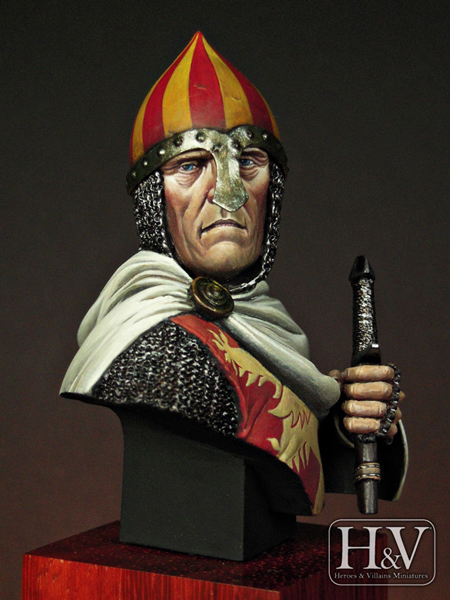 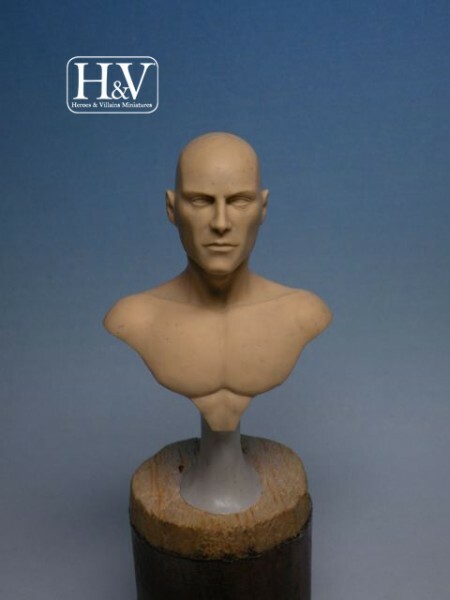 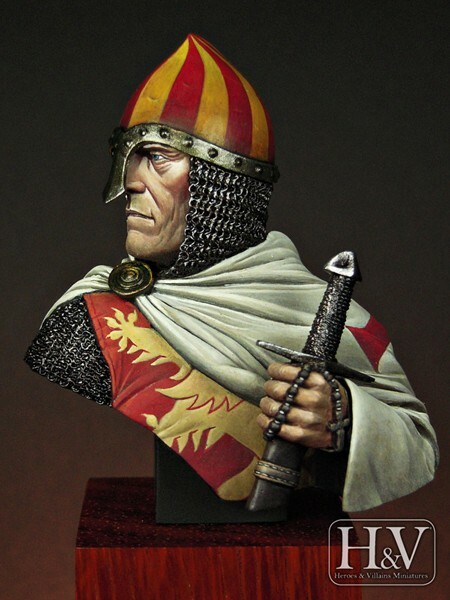 The bust includes two options of Norman style helmets very common in all Europe in that time, one has the typical conical structure with an optional nose guard and the other is a “Phrygian” style helmet. 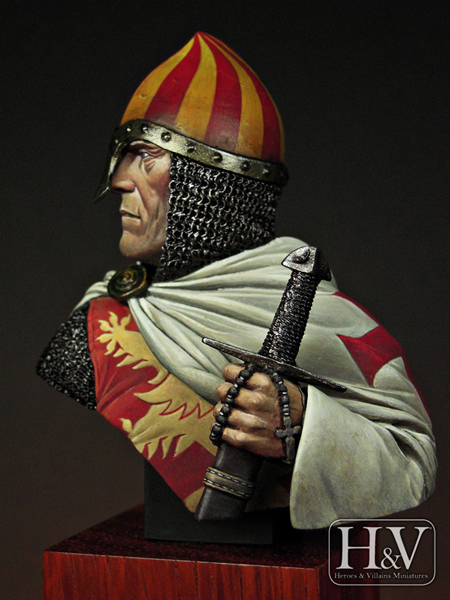 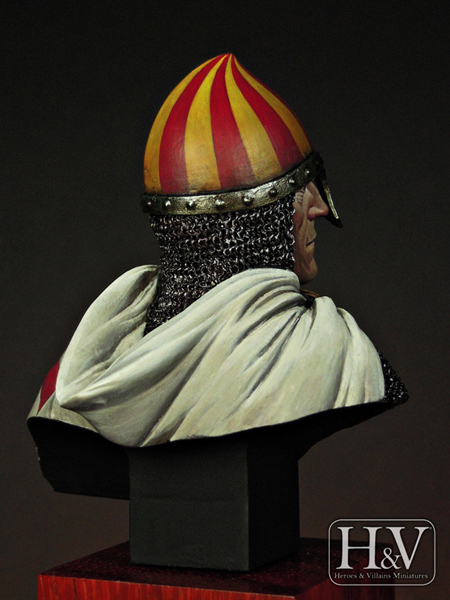 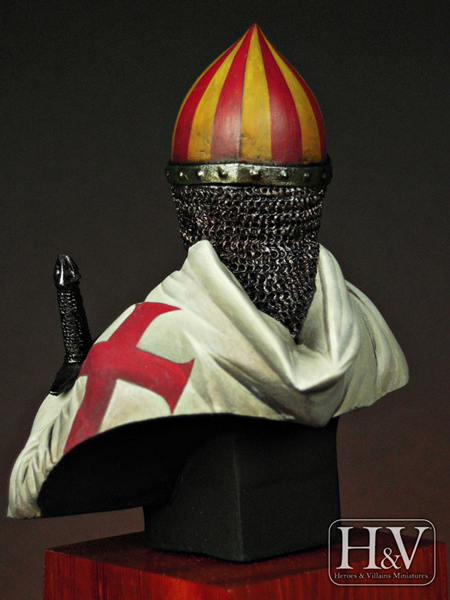 It was very usual to paint these helmets with colors from the heraldry to preserve metal from exposure to elements. 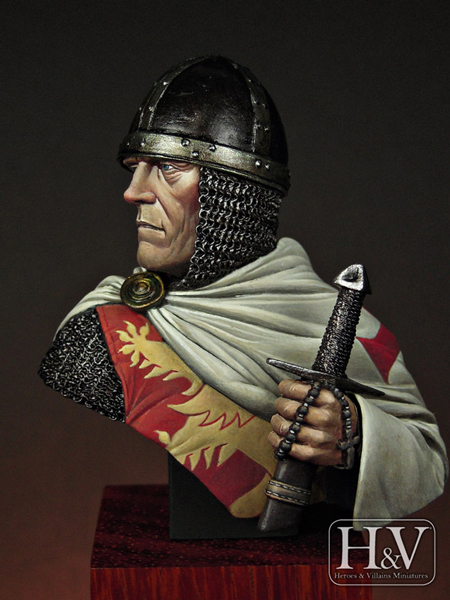 For the sword, we chose a type intermediate between models X and XI from the range established by Ewart Oakeshott to describe the medieval sword styles. 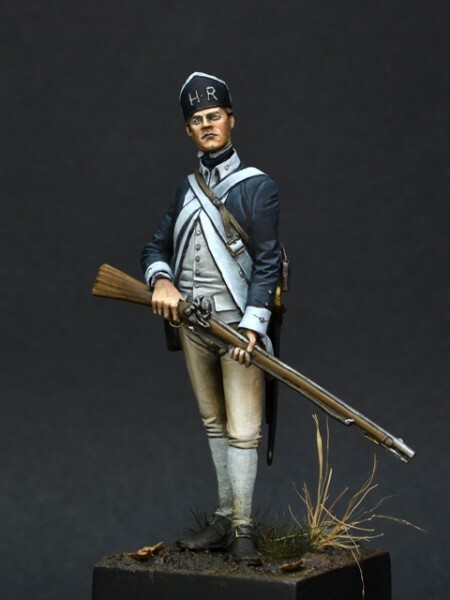 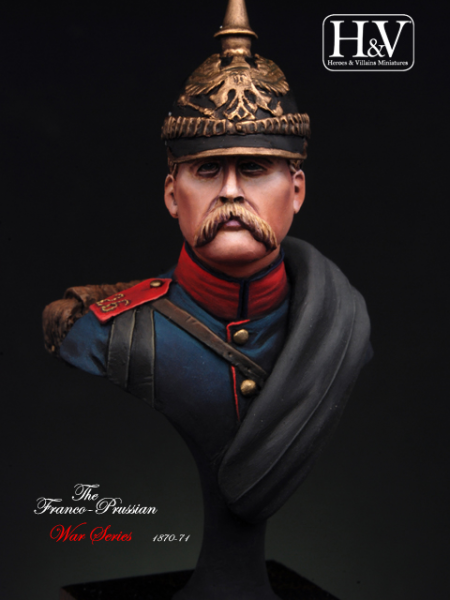 Infantryman Franco-Prussian 26 Regiment, 1870-71.